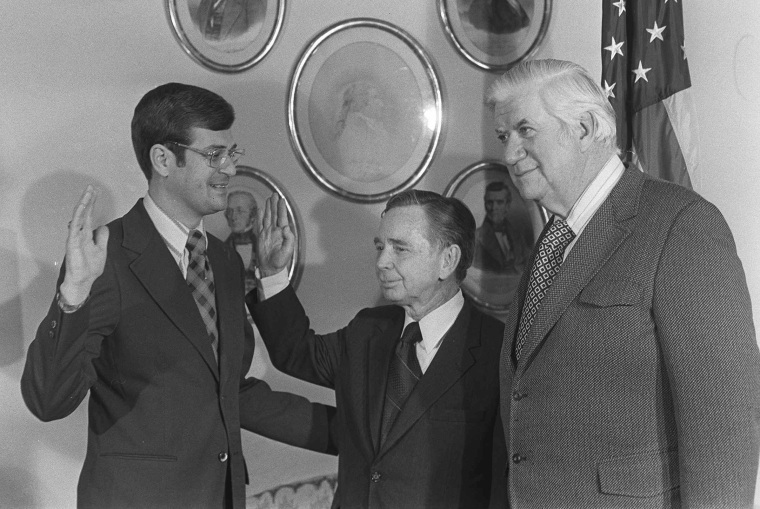 Democratic House Speaker Carl Albert of Oklahoma (pictured, middle) at a swearing in ceremony in January 1973. Speaker Albert — nicknamed "The Little Giant" — made preparations, in secret, that Fall in case he suddenly had to assume the Presidency, in the event that both President Nixon and Vice President Agnew were removed from office. 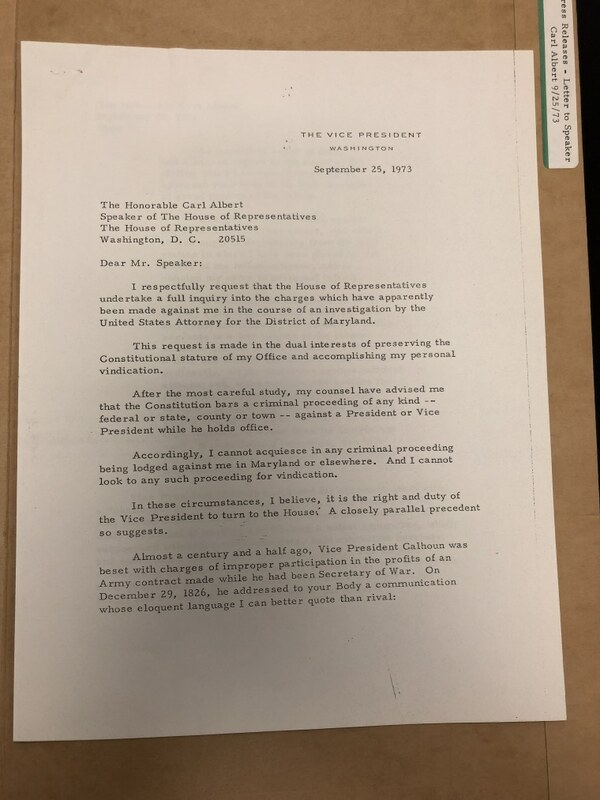 Vice President Spiro T. Agnew's letter to Democratic House Speaker Carl Albert in September 1973 (three pages). Agnew attempted to get Congress to take up his case as he argued that a sitting Vice President can't be criminally indicted, only impeached. Speaker Albert refused Agnew's request. 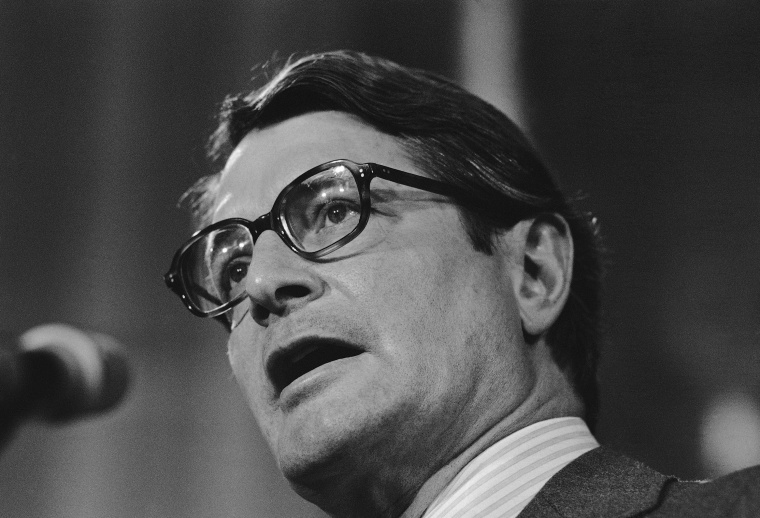 Attorney General Elliot Richardson at a press conference in October 1973. AG Richardson faced the daunting prospect that Fall of needing to force out the Vice President, Spiro T. Agnew, before President Nixon went down in Watergate. 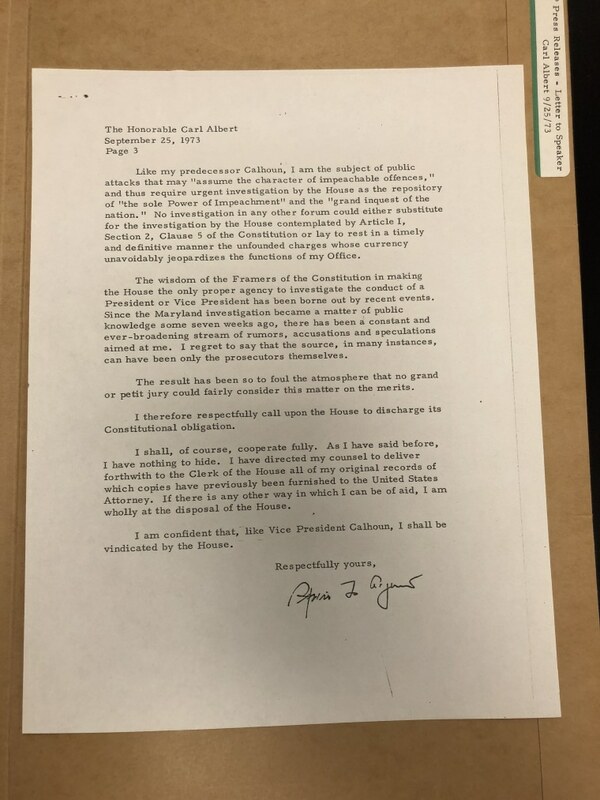 Notes from Attorney General Elliot Richardson, detailing the secret negotiations between the Justice Department and defense lawyers for Vice President Spiro T. Agnew. AG Richardson launched a high-stakes mission to force Agnew from office by threatening him with criminal prosecution. 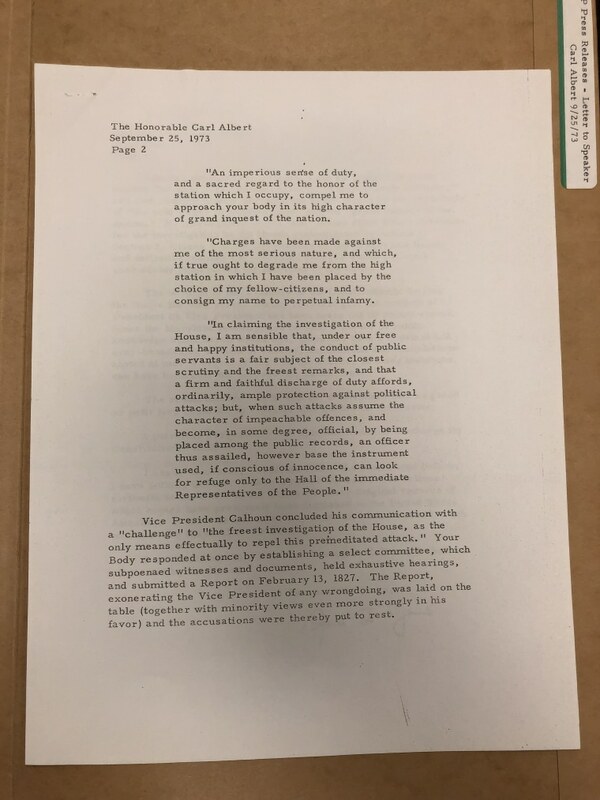 — Source: Elliot L. Richardson Papers, Manuscript Division, Library of Congress, Washington, D.C.
Attorney General Elliot Richardson's handwritten notes from October 9, 1973. A.G. Richardson reached a plea deal that day with Vice President Spiro Agnew's attorneys, which called for Agnew's immediate resignation from office. The deal was reached in the presence of federal judge Walter Hoffman (noted at the top) and a court date was set for the very next day.